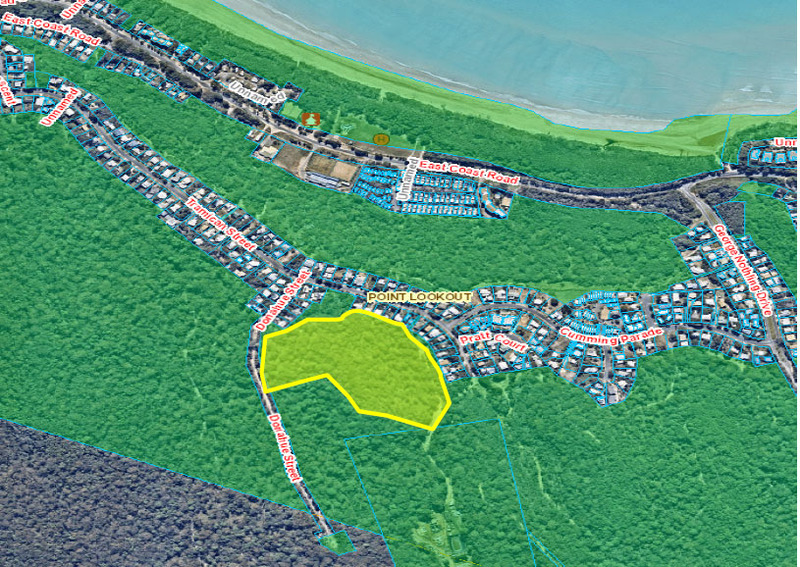 Redland City Council’s Parks and Conservation Crews are intending to undertake a hazard reduction burn within the Tramican Street Conservation Area on Tuesday 14 August 2018, if weather conditions remain suitable at the time. The location of the burn area is George Nothling Drive (rear of Donahue Street, Point Lookout- highlighted in yellow on the map. The purpose of the burn will be for hazard reduction as well as for ecological outcomes. Preparation of the site was undertaken in the days leading up to the date of the burn, including clearing around significant logs and habitat trees. It is appreciated that this burn may cause some inconvenience, however all attempts will be made to limit any smoke hazards from the work. The planned burn is necessary to reduce the volume of forest litter fuel, which will assist with hazard reduction. Planned burns assist to reduce the fire danger and provide conditions essential for native regeneration. If you require details of the planned burn, please visit www.redland.qld.gov.au or contact Council on 3829 8999.